The City Original is a bestseller with a classic composition. This chair comes in a multitude of designs in plastic, veneer with a seat cushion and cover and with or without armrests, hanging brackets and plastic gliders. These chairs can be stacked 11 high and also come with a linking mechanism. 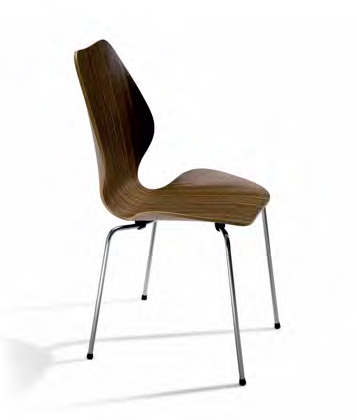 The City Original is an excellent choice for dining areas, offices, auditoriums and libraries.